Does everything you know about Polo come from watching Pretty Woman? If so, you’re not alone. But polo has far more to offer than Julia Roberts fist-thumping in a stylish polka dot ensemble -- although we’ll get to the fashion part later. For many, it’s much more than a sport, it’s a lifestyle -- and no more so than in Newport. But is this lifestyle for you? Let’s take a closer look. Home of America’s first polo club -- established in 1876 -- and a founding member of the United States Polo Association, Newport is an international destination for enthusiasts of the action-packed sport once described as a “passport to the world,” by Winston Churchill. Every year between June and September, thousands of fans flock to this elegant seaside enclave to attend the Newport International Polo Series, currently in its 24th season. Teams also travel from across the country and around the world to face off against competition in this uniquely thrilling equestrian sport. 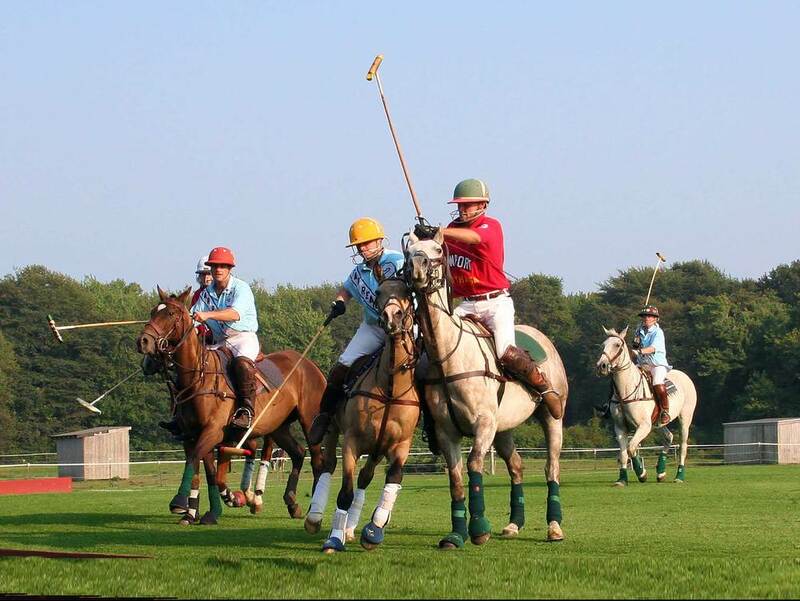 Thinking of catching a polo match in Newport, and in doing so becoming part of Newport’s rich polo history? If so, you’re in luck. The season culminates this Saturday, September 25 at the Newport International Polo Grounds, where Newport will take on its most formidable rival in the finals of this famed event. Come cheer on the hometown favorite alongside thousands of other well-heeled polo attendees. As if the matches alone aren’t exciting enough, there’s also extraordinary food, drink and fashion to be had -- all of which add up to a one-of-a-kind spirit of conviviality we challenge you to find elsewhere. Polo and picnicking go hand, so why not be the envy of the crowd by arranging from a cooler packed picnic lunch from premier dining destination, The Spiced Pear. Nosh on gourmet favorites like lobster BLTs and citrus poached shrimp -- a perfect meal for polo match viewing. At a loss for what to wear? Here’s a hint: polka dots are not required. What is? According to Newport Manners, the look is less fuss and more fancy free. Separates and dresses in the form of flowing skirts, belted frocks, and straw hats are the go-to uniform for women. Men, meanwhile, favor chinos, button-downs, and polo shirts, natch. My Guest Services team and I would be happy to assist you in attending the final Polo match of the season in Newport. To have your tickets ordered for you, please contact us at 401-847-1300. If you would like to order tickets online, you can purchase them here.